Ruth Fitzgerald is at a good place in her life. She’s no longer the day-to-day boss of the company she launched in 1987. She mostly works out of her historic, Victorian home in the West End of Hartford, Conn. She chooses the projects she wants to do. At age 62, she enjoys working less and traveling more. “I’m cruising along,” she says. Ruth was born in Northern Ireland and lived there until she was 9 years old, when her family moved to Ankeny, Iowa. She got a bachelor’s degree in history from Iowa State in 1971 and a master’s in urban and regional planning in 1974. And then she was quickly hired by a big architectural and engineering firm in Connecticut. With Ruth as founding principal, president, and CEO, Fitzgerald & Halliday grew and flourished. Ruth continued to work out of her home for 15 years, hiring engineers and planners who came to her house for staff meetings but worked from their own home offices. 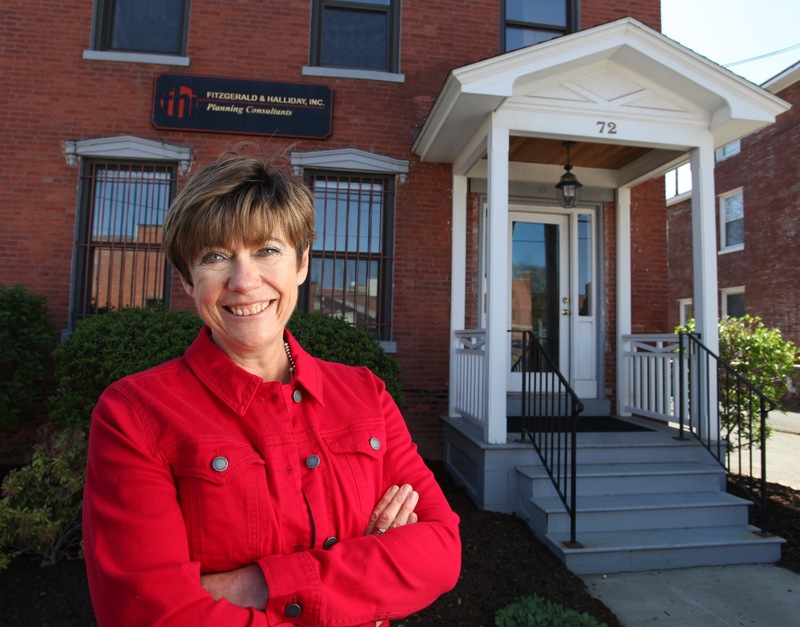 The transportation and planning firm – now with a physical headquarters in a historic building on Oxford Street in Hartford – has grown to 30 employees and is again in “hiring mode.” Ruth recently stepped down as president and CEO. Ruth is married to David Sageman (PhD ’72 chemical engineering), whom she met as a student at Iowa State.